Congratulations to our talented design team on an inspiring 6 month term! This week, we will recap some of our favorite projects by our amazing designers. 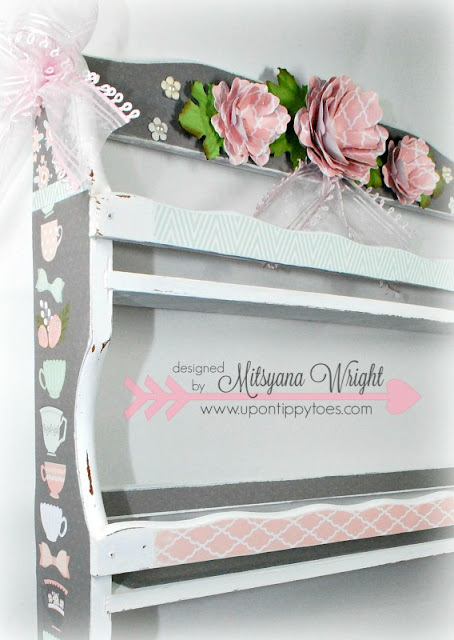 In celebration of the 'upcycling' movement, Mitsyana 'wow'ed us with this perfect shabby chic storage rack. During our time partnering with Clearsnap, Peggy brought a birthday card to life with the Teresa Collins ink pads and stamps that paired perfectly with the capabilities of the eBrush. The finished result? A birthday card for her daughter that would make anyone envious! See more favorites this entire week as we feature our designers from this design team as it comes to a close!